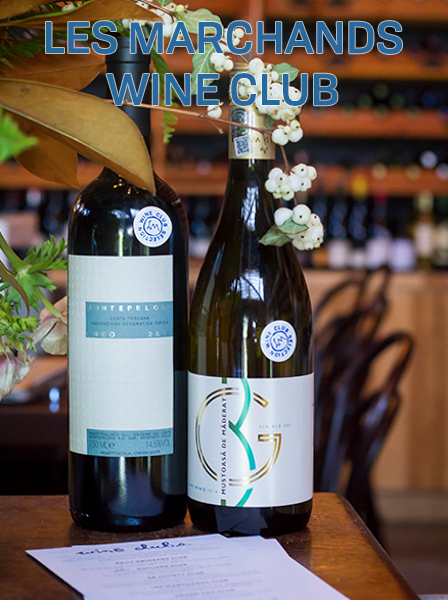 Gift someone you care about a subscription to our signature Les Marchands Wine Club. Each month your loved one will receive an allocation of sommelier selected wines with a brief history of the winery, winemaking, drinking window and food pairings. Simply choose the number of months that you would like to sign up for and then we will contact you to finalize the subscription. Be sure to enter the address of the person you are gifting it to. If the person lives locally select "pick up" as the shipping option.